On April 2, less than six months from her defeat Nov. 6, 2018, Hiral Tipirneni, a Democrat who ran unsuccessfully for the U.S. Congress from Arizona’s District 8, is running again, this time from Arizona’s District 6. Within 48 hours, the former ER physician and cancer research advocate, had raised $100,000, “all while rejecting corporate PAC money & staying true to our community’s values,” she tweeted. Tipirneni is pitted against incumbent Republican David Schweikert. When she ran from District 8 in the 2018 elections, Tipirneni proved to be a formidable candidate, and won 44 percent of the vote in her first ever attempt at public office, against 55.5 percent of Rep. Debbie Lesko’s, “in deeply Republican territory …” as Azcentral.com described it. In the Special Election for the Arizona 8 seat, Tipirneni lost by a mere 5 percent of the vote to Lesko, when then Rep. Trent Franks quit under allegations of sexual misconduct. Tipirneni will be running outside her residential district, azcentral pointed out. Interestingly, last year, another Indian-American, Anita Malik, a tech executive, ran as a Democrat for Congress from Arizona 6 unsuccessfully. Another Democrat who lost his last bid in Texas, is giving it a second try. “When I saw partisan tension tearing our country apart, I knew the most patriotic thing to do, and the best way to serve my country, was to run for office,” tweeted Srinivas Rao Preston Kulkarni, a former Foreign Service officer, as he declared his second attempt at winning the 22nd District seat for the U.S. Congress, April 4. He was immediately endorsed by the Indian American Impact Fund, a PAC that supports candidates from the community. 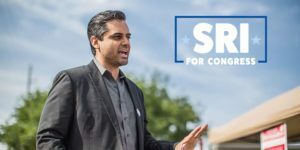 “Congratulations to @SriPKulkarni for his announcement to run for TX-22! Sri knows that running to serve the people isn’t about the results of one election, it’s always about fighting for the next generation. And that means you get back in the ring. #Texas #2020,” @IAImpactFund tweeted April 5. 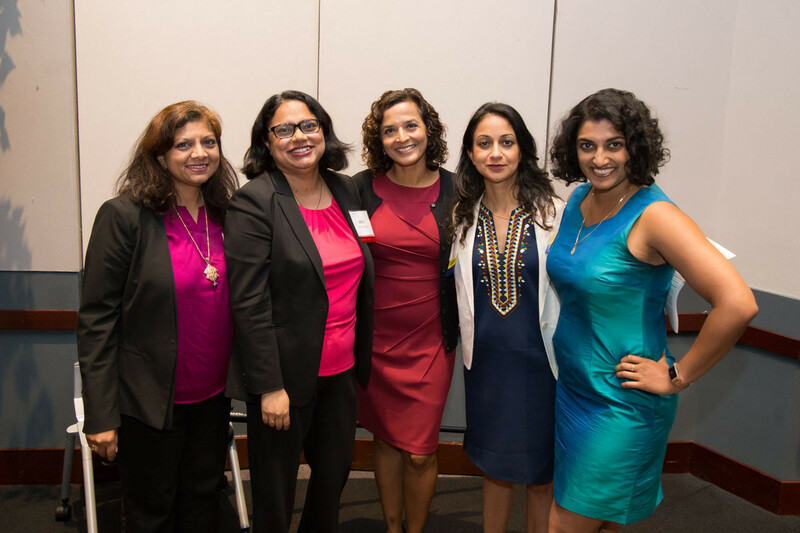 “Our campaign is focusing on restoring reason, compassion, and decency in politics,” said Kulkarni, whise formal campaign kickoff was scheduled for April 6, in Richmond, TX. Kulkarni lost his bid in the Nov. 6 elections to long time Republican incumbent Pete Olson, but less than 5 percentage points. The Houston Chronicle reported that Kulkarni would focus his efforts on registering about 70,000 voters he had identified, noting that the Indian-American lost by some 14,000 votes in his last attempt. Kulkarni, like Tipirneni, will have to face the Democratic primaries, scheduled in Texas for March 3, 2020.